It should have been installed, right? Also I came to know that, Docker currently only supports 64bit platforms. Is there a way to I install it and make it work on 32bit machine? You will not be able to install Docker onto a 32bit platform. This is possible these days, with just a simple script. You could use https://gitlab.com/docker-32bit/ubuntu. Keep in mind that the previous link was in August 2013, I am not sure you will be able to do the same with the latest versions of docker. This worked for me and its very simple. Go to UBUNTU Software CENTER. Not the answer you're looking for? 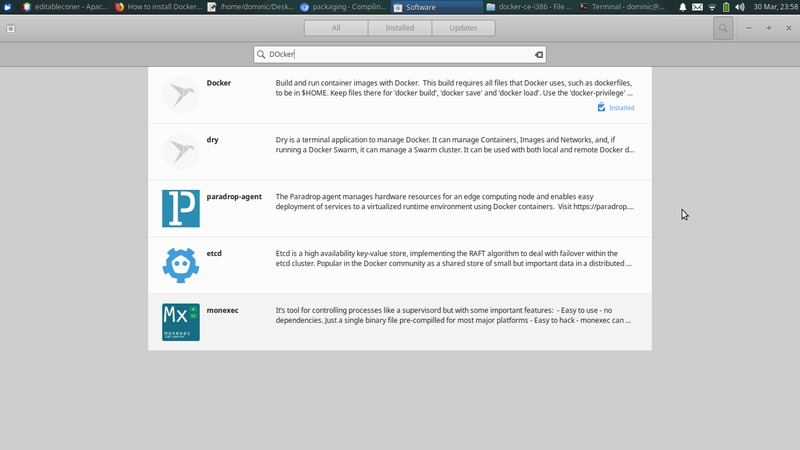 Browse other questions tagged docker ubuntu-12.04 32-bit or ask your own question.